If you’re in need of a pick-me-up from the stress and tribulations in life, Shopping King Louis is the drama for you! A cheeky rendition of the classic chaebol drama, Shopping King Louis centers around an amnesic shopping line heir, Louis (Seo In Guk), and a persistent farm girl, Go Bok Shil (Nam Ji Hyun). As they navigate through Seoul, they strike a deal that Bok Shil will provide shelter for Louis so long as he helps her find her runaway brother. Their mutual adorable enthusiasm and naivety leads to an endearing romance, full of warmth and understanding. Somewhere along the line, I began to realize that the plot was paper thin, but it was hard to care as the leads’ chemistry is so enthralling. 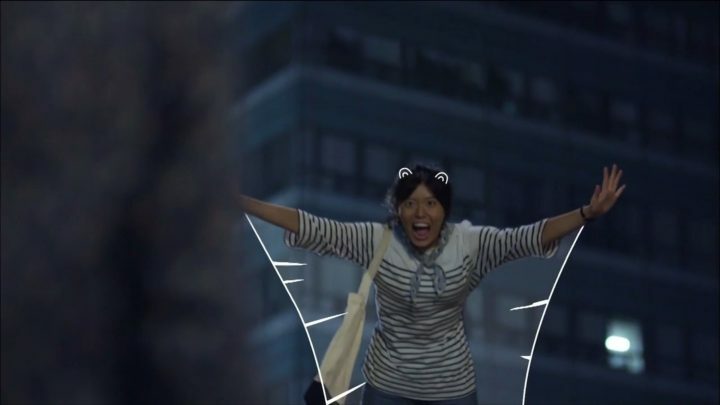 Louis and Bok Shil are truly two sides of the same coin, and their interactions are so full of childlike wonder that it elevates the entire production to new heights. As far as chaebol dramas go, this one definitely falls on the higher end of the spectrum, pulsating with youthful energy and dipping into more mature themes. 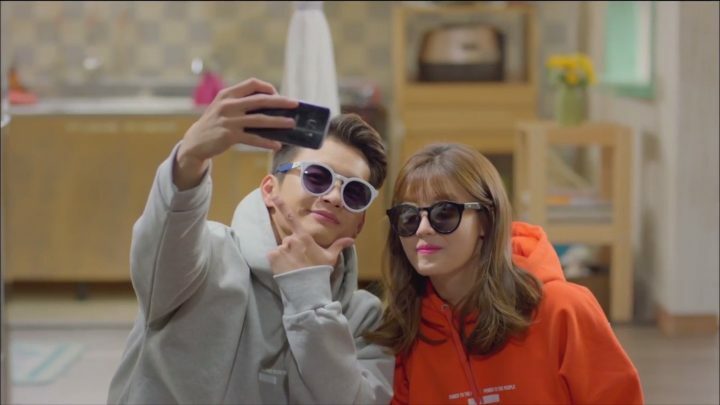 With charming cast chemistry and solid production value, Shopping King Louis draws you into its lighthearted world, leaving you wishing it was reality. Their interactions are so full of childlike wonder that it elevates the drama to new heights. The beginning of Shopping King Louis gets off to a rocky start with the introduction of a typical chaebol plot line and overused characterizations. Thankfully, the drama immediately jumps into Louis’ life as an amnesiac, where the plot deviates wonderfully from the norm. I also love how cute animations are inserted throughout the drama, adding a spark of delightful cheekiness to each situation. Louis, also known as Kang Ji Sung, is a sheltered and high-maintenance heir of a shopping line, Goldline, who has a keen eye for deals and high-quality products. After his parents’ untimely deaths, his grandma keeps him locked up in a mansion in Spain to help him avoid similar accidents. Though spoiled all his life, Louis is surprisingly kind-hearted and loyal to all. 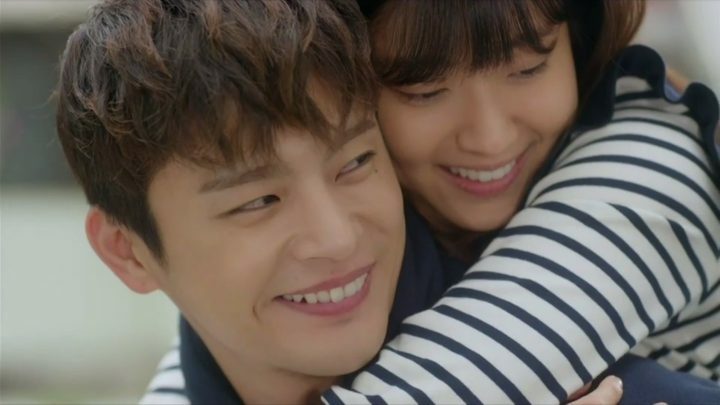 I’m impressed by how nuanced and endearing Seo In Guk’s portrayal is; though I’ve never been a fan of his characters before, this role matches him perfectly. 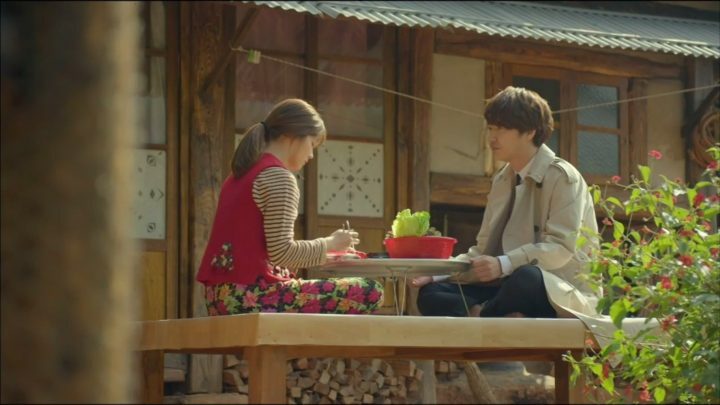 Go Bok Shil is an upbeat and humble villager who moves to Seoul in search of her lost brother. A person who values family and personal responsibility above all else, Bok Shil is easily the most trustworthy person in the drama. However, I’m irritated that she is a doormat and essentially acquiesces to everyone’s demands out of her philanthropic heart. I’m hoping she shows more backbone as the drama goes on. Both are gullible yet good-natured as they chase girl gangsters, buy furniture, and manage their finances. It’s gratifying to watch them build life together as their apartment gradually fills up with appliances, clothes, and memories. 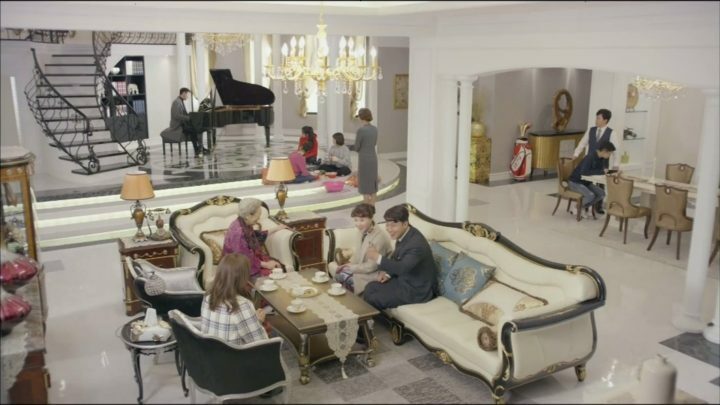 In this part of Shopping King Louis, the characters’ interactions and personalities are getting increasingly funnier as they become closer to each other and encounter different situations. We also gain more insight into Bok Shil’s past as well as the potential whereabouts of her brother. Bok Shil secures an internship at Goldline under director Cha Joong Won (Yoon Sang Hyun), who is a stiff and principled man with a soft heart. 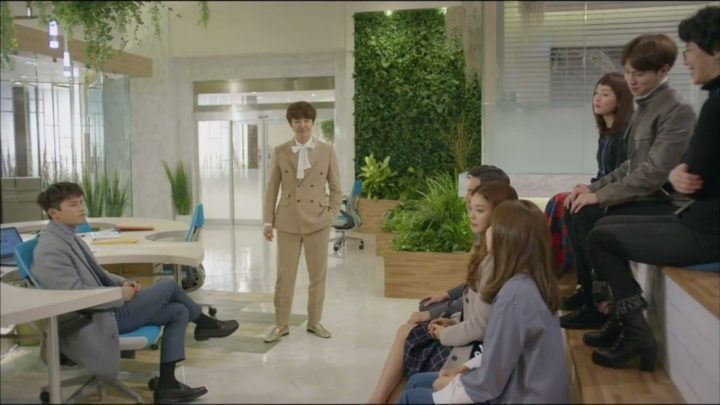 He’s attracted to Bok Shil and mentors her so she can adapt to the corporate world. Often times, his jealousy towards Louis manifests in aggressiveness that is hilarious to watch. 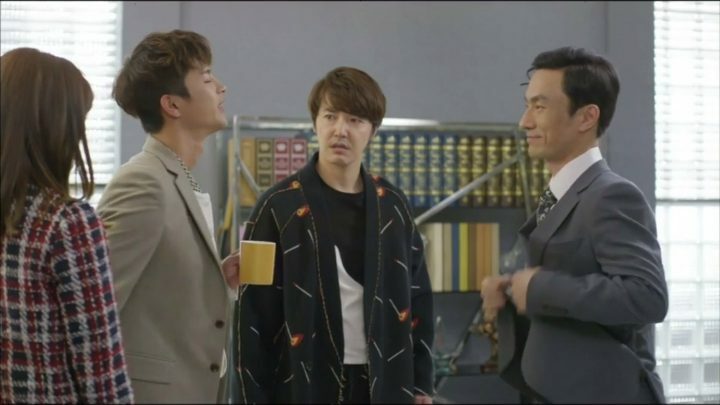 Yoon Sang Hyun’s interpretation of Joong Won is bizarre yet cohesive, and I’ve chuckled more than a couple of times at his reactions to situations. I’m pleased that Bok Shil finally stands up for herself and gets mad at Louis for his irresponsibility. Her character is becoming multifaceted and believable; I’m starting to prefer her to Louis. 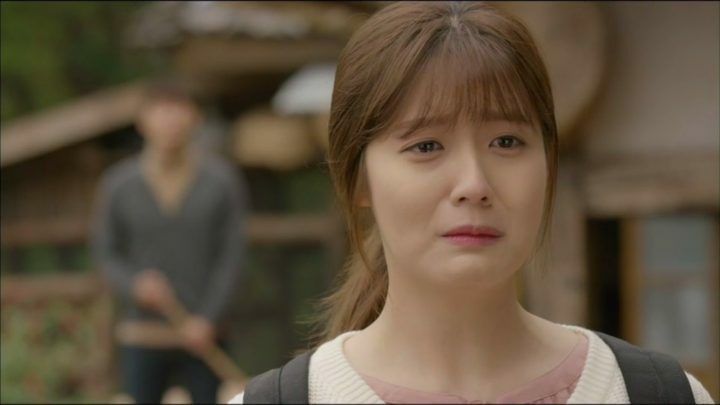 Nam Ji Hyun deftly portrays both Bok Shil’s nurturing innocence and proactive dutifulness. We also learn of her traumatic past, as well as how Louis and her brother’s fates may be connected. Louis still has high-maintenance habits, yet is more mellow and considerate than expected of a chaebol. 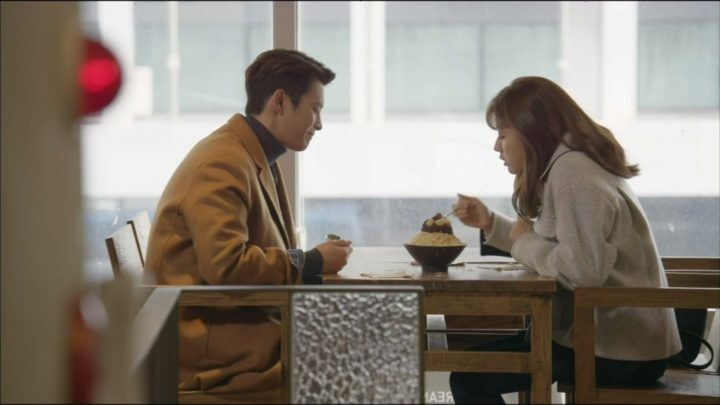 He slyly confesses his love for Bok Shil, and his shopping skills finally seem to have tangible benefits as he helps Bok Shil come up with ingenious ideas for work. These episodes of Shopping King Louis are packed with narrative shifts, comedic twists, and milestones in Bok Shil and Louis’ relationship. Somehow, the drama is able to find silver linings and humor amidst tragedy, all the while drawing our main couple closer. Somehow, the drama is able to find silver linings and humor amidst tragedy. As the safety of Louis and Bok Shil’s apartment is jeopardized, both now live in Joong Won’s house. Joong Won and Louis are polar opposites and contend for Bok Shil’s heart, which leads to childish animosity and one-upping. Their bromance is totally unexpected and rivals the chemistry of our main couple, adding a refreshing highlight to the story. The person who caused Louis’ accident, which lead to his amnesia, is still on the run. Although this would cause intense worry for most, Louis and Bok Shil are able to maintain high spirits, even to the point of having funny talks about the danger and scams. Sure, they may be simple-minded, but the bottom line is that they’re genuinely happy – they know worry won’t improve the circumstances anyway. Their romance accelerates as they share their first kiss, which is low-key yet beautiful (like their lifestyles). 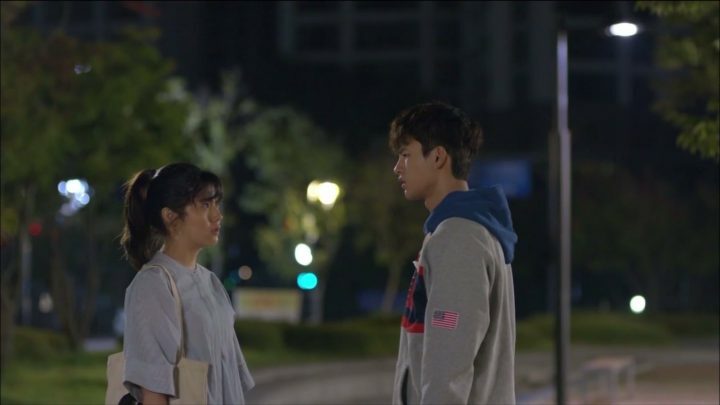 I found Nam Ji Hyun’s acting to be especially realistic during this scene – she’s quite nervous, which is rarely portrayed yet oft expected of a first kiss! Louis’ grandma finally finds him, and he is brought to her mansion, where he is told of his true identity. Thankfully, Louis is still akin to a loyal puppy – he’s nonchalant towards his wealth and yearns even more for Bok Shil. This section brought out the best of rom-com with beautiful cinematography, natural romance, and off-beat humor. I know that hardship is bound to come after this slice of perfection, so I hope the characters handle it well. As expected, adversity comes in this chapter of the drama. Though I’m glad that it is resolved without the usual dragged out angst, I’m disappointed by Bok Shil’s illogical decisions here, which are totally inconsistent with her established characterization. I also wish that the conflict between our leads was maturely resolved by themselves, rather than by a miracle conveniently thrown into the plot at the right time. However, though Bok Shil takes a step back in her growth, these episodes accentuate Joong Won and Louis’ maturation. 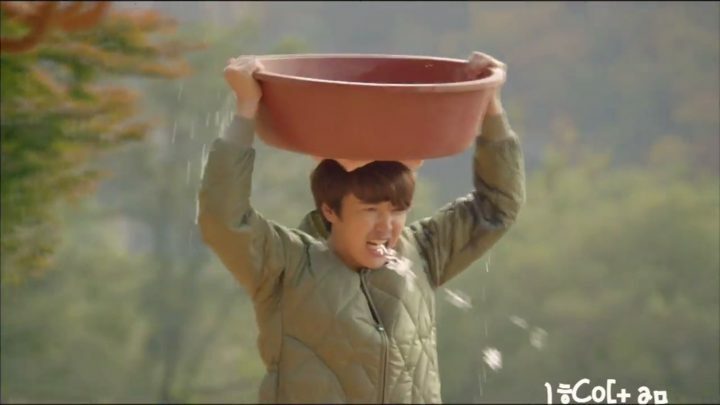 Joong Won steps out of his comfort zone as he goes to Bok Shil’s village, where he gamely adapts to humble living conditions and comforts Bok Shil. Though Louis feels entitled to his shopping habits, he actually doesn’t feel entitled to Bok Shil’s love, which surprises me in a good way. He’s heartbroken and lonely, yet he respects what she says. 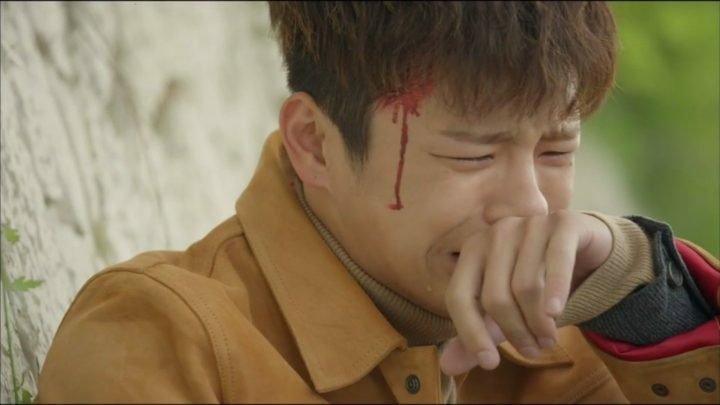 I especially love Seo In Guk’s crying scenes, which are so raw yet so uniquely Louis. Although Louis is immature on the surface, amusingly whimpering over spiders and minor issues, we find out in this section that he is mature when it comes to serious life decisions. Despite the bigger conflicts, I’m glad that the drama maintains its familial feel and Louis continues in his optimistic bent. 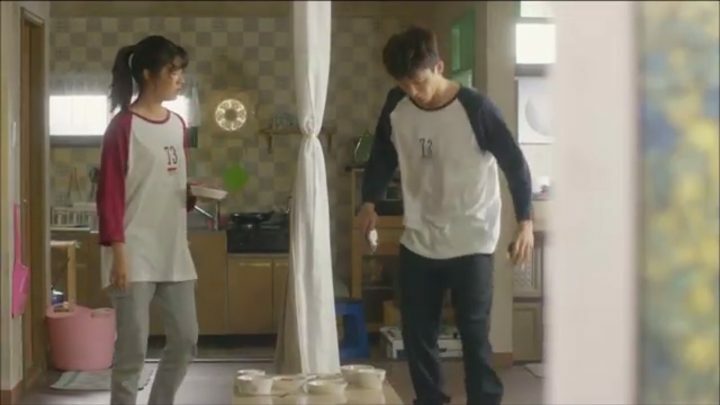 It’s also satisfying to see that each of the side characters are given quirks and moments to shine, contributing to the eccentric and breezy concoction this drama has brewed. Though Shopping King Louis does continue with its bright and warm tone, I have mixed feelings about the ending. These episodes start emphasizing certain side plots only to never resolve them, making the finale feel incomplete. The drama emphasizes side plots only to never resolve them, making the finale feel incomplete. Bok Nam and Bok Shil reunite, and Louis forgives the man who tried to attack him. Yet the tangled love lines between Joong Won and other supporting characters, which are especially emphasized in the final episodes, are never resolved. 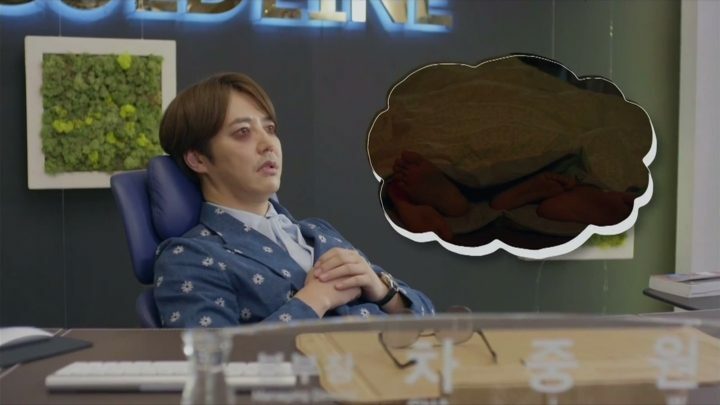 I’m disappointed that the ending doesn’t focus on deepening Bok Shil and Louis’ relationship nor the Goldline plot; after all, these are the main aspects of the drama. Instead, it focuses on a lot of filler moments between the characters, which are cute but don’t contribute any significance to the overarching story. However, I do love the little twist regarding Louis and Bok Shil’s tied fates in the last episode. Overall, Shopping King Louis is a lighthearted drama with excellent acting and chemistry between the two leads. I’m glad that Louis, who could’ve so easily turned out annoying (given his immature lines and actions), was given humanity. It was also impressive to see Nam Ji Hyun handle her first leading role with such enthusiasm and poise.